Masters part-1 Form Fill up Notice 2019 for the session of 2017. 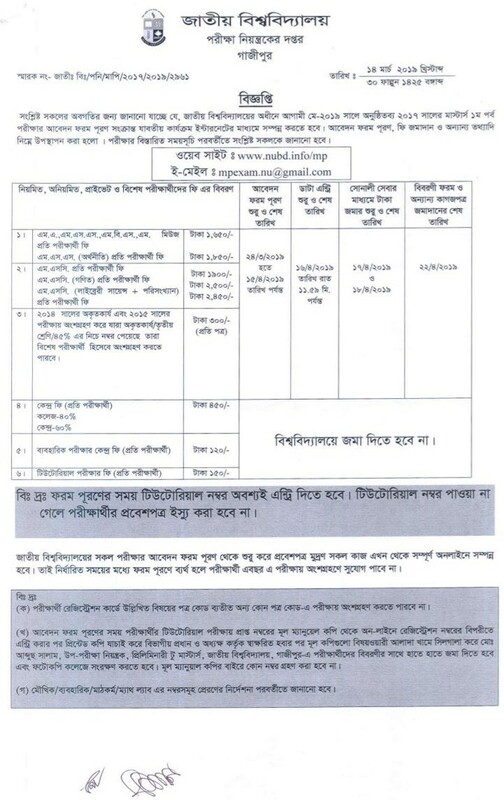 The National University of Bangladesh MA/MSS/ MBS/MSS/ MSC Regular and Private final year form Fill up Notice for Examination. This Notice for the Students of Masters part-1 for the Session of 2017. 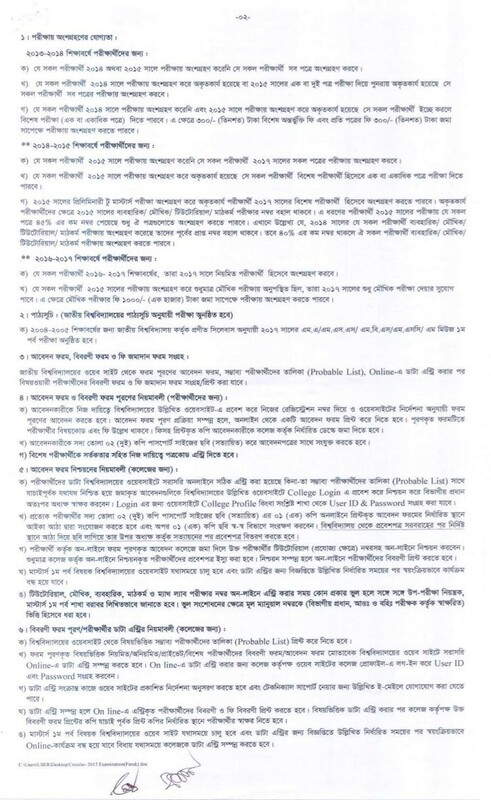 Online Application start Date for Students: 24th March 2019. NB: Students Has not to chance for Application after the Deadline date of this Notice By using Late Fee. 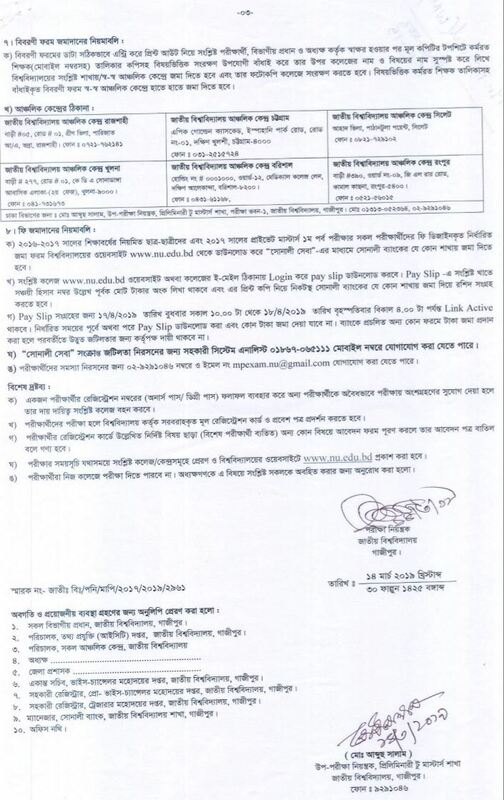 For More Notice see www.nuedu-bd.com or National University official website www nu ac bd or nubd.info.